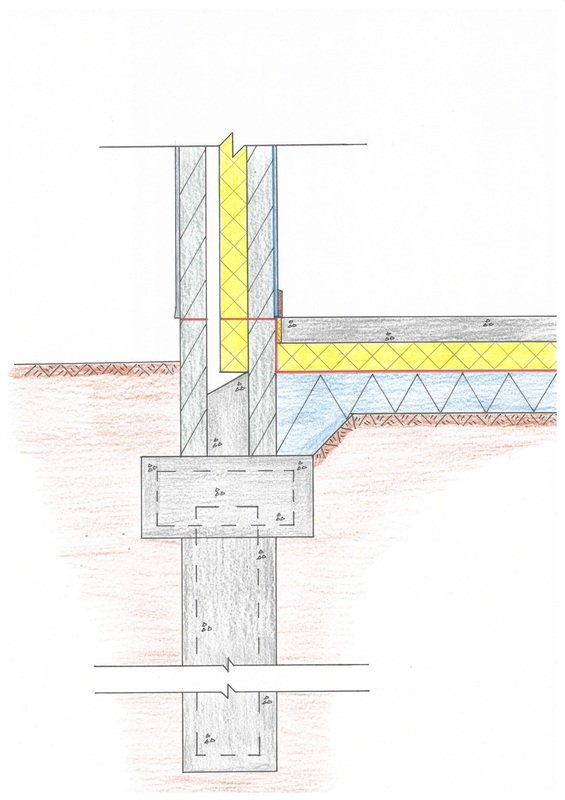 A pile is a column of concrete that extends downward deep into the soil. 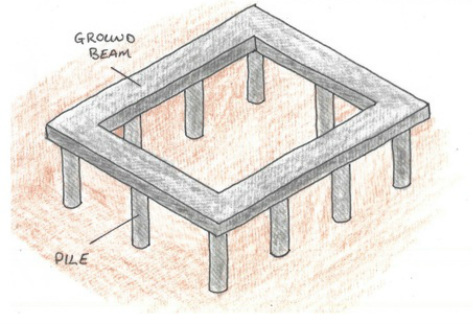 Piled foundations consist of a number of piles connected by a ring of concrete called a ground beam. This is similar to a strip foundation but not as wide. One method of construction is to drive precast piles into the soil using specialised percussion drivers. 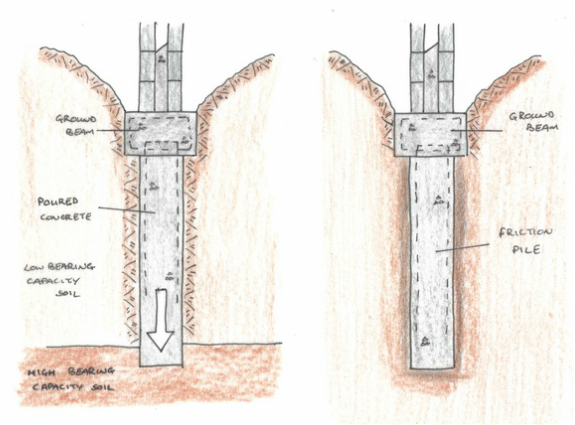 The other method requires the drilling of a pile hole in the soil, which is then poured with concrete and reinforced with steel. Once the piles are complete, the ground beam can be created. This is the surface of which the walls of the dwelling can be built.